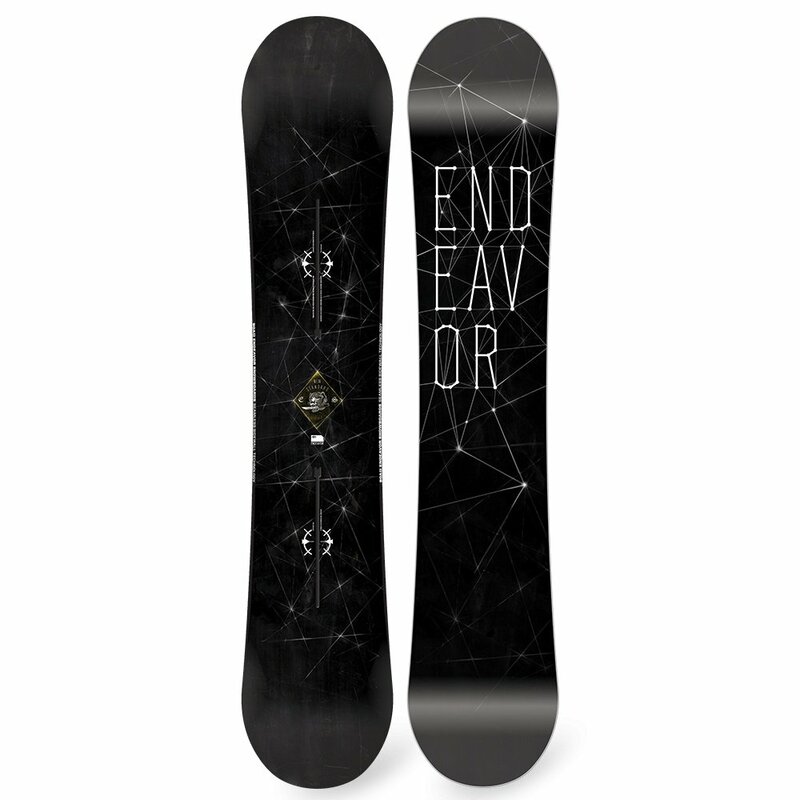 Designed for deep snow but prepared for any terrain, the Endeavor New Standard Series Snowboard is built to help you raise the bar of your riding and have a better time doing it. The biggest way it does that is the advanced 3D Camber Profile, which gives you all the pop and power of a traditional camber shape. The difference is the lifted edges at the nose and tail, moving the contact points away from the snow for improved agility and reduced drag in deep snow. "hi i’m in an intermediate level. I like to do some tricks but i’m not an expert and i like to ride the mountain too. So what kind of table do u recommend to me. Camber / rocker? Any combination"
"We would recommend sticking with a Camber Profile board this type of ride is great for pop for ollies and jumps, has great edge-hold and helps for generating speed. The Endeavor New Standard Series provides you with a 3D Camber Profile and seamless sidewall which reduces the vibration while riding. We hope this information helps! "